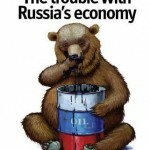 Russia is commonly represented as one of the most corrupt countries in the world in the Western media, ruled over by Kremlin clans who sugarcoat their kleptocracy with bombastic nationalism. 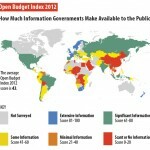 The most oft-cited evidence comes from Transparency International. This is an organization which aggregates surveys of foreign businesspeople and regional analysts to compile a Corruption Perceptions Index (CPI). Its verdict on Russia is decidedly unflattering; apparently, as of 2008 it was the 147th most corrupt nation on Earth. This morass of bribery and corruption will inevitably stymie its leadership’s economic development and Great Power ambitions. I’ve criticized such views for being far too simplistic here, here and here. The crux of my argument is that the CPI measures the subjective perceptions of a narrow class of people; it does not accurately portray the extent of corruption in the wider society. For instance, according to Transparency International itself, ordinary Russians do not pay more bribes in a typical year than the Czechs, despite that the latter have a much higher CPI. Businesses and citizens do not pay more exorbitant amounts to “get things done” than is typical for the former socialist world, or middle-income nations in general. And there is compelling evidence that the extent of corruption declined under Putin from the 1990’s, though not by much. Finally, as I pointed out in Education as the Elixir of Growth, though corruption slows growth it is not a crucial factor; a well-educated workforce is far more important for long-term convergence to developed status. Now I present a summary of an article by Dietwald Claus, Missing the Forest for the Trees, a counter-intuitive analysis of the causes of corruption, its consequences, and how to reduce it. He works from his experiences in Russia to reach global conclusions, which can be summed up by: “Corruption is the consequence of regulation and poverty: regulation creates the incentives for corruption, while poverty determines its price”. Applied to Russia, its metastasized bureaucracy and reams of red tape provide ample scope for corrupt, rent-seeking activities, especially at the higher echelons where foreign observers are concentrated. (Their impressions are reflected in the CPI and the Western media). It also explains INDEM’s findings, which I covered here, that since the late 1990’s, the incidence of corruption fell, even as the average bribe size soared. After hearing all the talk of Russia’s apocalyptic-like corruption, Claus was surprised to find that in the two years he spent there not once was he approached by a bureaucrat seeking a bribe. He decided to investigate the discrepancy between media hyperbole and reality on the ground. He starts off by discussing corruption, emphasizing that it is not always bad and indeed sometimes correct and necessary, for instance to circumvent bad laws. He mentions a study on Soviet Georgia, which concluded that the inefficiencies of the planned economy actually made corruption and black markets there productivity enhancing! Another caveat is that corruption is only counted as such if it’s illegal; for instance, in many European nations American-style institutionalized special-interests lobbying and soft-money political contributions would be considered deeply unethical. (I would also note that the sleazy relations between the Wall Street oligarchy and the US government exposed by the economic crisis – e.g. see The Quiet Coup by Simon Johnson – provides further food for thought about the nature of corruption in nations with different levels of development). No country with a score of five or more in the CPI (indicating a lower level of perceived corruption) has more than 7 percent of respondents who report paying a bribe in the past year; for most countries this figure is substantially less. For those countries whose results are weaker in the CPI 2006, there is far more differentiation in the experience of bribery. Bureaucracy and regulation seem to have a much more direct effect on the willingness of ordinary people to pay bribes than they influence the perception of corruption by foreign experts and business people. …when ease of doing business is controlled for, the correlation between GCB and CPI becomes insignificant. This is a strong indicator that regulation and bureaucracy are the most important factor influencing both corruption experience and perception. This is basically the same conclusion I reached in my Education as the Elixir of Growth articles. Even the Economist agrees that a link between the rule of law and growth is hard to establish. I began this research because I was interested why my experience of living in Russia was so much different from the picture presented by Transparency International’s research: how is it possible that I never paid a bribe over the course of two years, even though Russia is supposedly one of the most corrupt countries in the world? And how is it possible that Russians admit to far less corrupt behaviour than Czechs or Ukrainians, even though Russia is ranked as by far more corrupt than the Czech Republic? Based on my research and analysis, I believe that I have found at least partial answers to this question. The first is that the CPI seems to depend on the level of a countries economic development far more than on the level of every day corruption experienced by locals: the poorer a country is, the more likely it is perceived by outsiders to be corrupt – regardless of how corrupt locals are. Or to put it differently: a countries GDP per capita is a far better predictor of Perceived Corruption than the level of actual corruption experienced by locals. Only in relatively wealthy countries does the experience of foreigners align with that of locals. The second answer to my riddle is that the most significant cause of corruption is regulation: the more difficult it is to do business in a country, the higher the level of corruption. “Less government equals less corruption,” writes Francois Melese: “the fewer rules, regulations, contracts, etc., government officials have the discretion to write, modify, or enforce, the less opportunity for corruption.” This may appear to be the same argument made by Transparency International and others involved in the fight against corruption that see inefficiency of government and the lack of good governance as the main cause of corruption. But this is misleading: it is not the quality of regulation enforcement that makes the difference between corruption and no corruption, but the existence of the regulations themselves. Highly regulated wealthy countries with low corruption are not less corrupt because of better governance, but because it is more expensive to corrupt their officials. It is almost equally difficult to do business in France and South Korea, but South Korea is perceived to be far more corrupt: while citizens of both countries report the same level of corrupt behaviour, France’s GDP/capita is twice that of South Korea. Even in high income country, this relationship holds to some degree: Germany and the Netherlands have an identical GCB, but the Netherlands are perceived to be slightly less corrupt – the Dutch also have a slightly higher GDP/Capita. My research leads me to conclude that Transparency International’s approach to the fight against corruption may be fundamentally misguided, fighting the wrong enemy with the wrong weapons. Corruption is a symptom of a sick polity, just as heavy coughing is the symptom of a sick body. But just as tuberculosis is not cured by the administration of highly effective cough repression drugs, the dysfunction of a society is not addressed by more effective ways of detecting and punishing corrupt behaviour. Corruption is the consequence of regulation and poverty: regulation creates the incentives for corruption, while poverty determines its price. Transparency International’s insistence on regulations and active policies as tools for fighting corruption is paradoxical: the highest rates of corruption are in poor countries, which have neither the resources nor the institutions to effectively fight corruption – a fact recognized by Transparency International. These countries have difficulties implementing their already existing regulations, and Transparency International, as well as other international organizations, recommends even more regulation to solve the problem caused be regulation in the first place. Corruption does not depend on the ‘culture’ of a country, or the ‘quality’ of its civil servants, but on regulation and economic wealth. The wealthier and less regulated a country, the less corruption it has – both real and perceived. Only relatively wealthy countries seem to be able to combine high regulation with relatively low incidents of corruption. Instead of continuing to pursue tried and failed policies that do little to fight corruption, and may even make the problem worse through increasing the opportunities for corruption (what better opportunity for corruption could there be than being a Corruption Cop in a highly corrupt society? ), Transparency International should consider refocusing its efforts to remove the prime cause of corruption: government regulation. Should a government have the political will and energy to take on the problem of corruption – and those who benefit from it – it might be wiser to focus these efforts on at least temporarily eliminating all those regulations that give rise to the most corrupt behaviour. This would have two benefits: first, it would free up valuable resources – both in terms of reducing the financial burden of corruption from companies and in terms of not having to pay for as many bureaucrats involved in (not) enforcing regulations. Secondly, it would reduce the level of dishonesty in the relationship between government, business, and the general public, decreasing the likelihood of corruption undermining the implementation of the remaining rules and regulations.